What's Your Excuse for Not Getting Back on a Bike After All These Years? 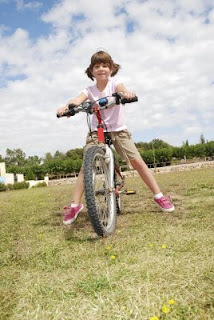 Do you remember first learning to ride a bike? I do. It was in the early 1960s, back before bike helmets and training wheels. Well, maybe those things were around then, but I didn't have them. Instead, I had a gently sloping patch of grass and our next door neighbor, Mr. Holmes, trotting alongside me, until I finally took my first wobbly ride. Since I've never been well-coordinated, I'm sure it took me a while to master balancing, pedaling and braking, but obviously I did -- never to look back until today, 40-plus years later. There was a long stretch of my adult life, maybe 15 years, when I didn't ride at all. Now I want to make up for lost time. Each time I get on my bike, some of the exhilaration I felt when I first learned to ride comes back to me. It's the fresh air in my face; the exertion it takes to ride uphill, followed by the thrill of coasting down the other side. If you're over 50, and like me, you haven't ridden in a long time, I'd encourage you to try it again. Let's debunk some of those excuses right here and now for why you haven't gotten back on a bike even though you loved riding as a kid. I've heard all of these excuses in the past year from friends and family who aren't old at all. 1.) I don't have good balance. Frankly, neither do I. Sometimes I weeble and wobble. But my balance has actually improved in the past year. It might have something to do with developing stronger core muscles and regaining a little self confidence just by doing it. And if balance is a big problem, maybe you can look into an adult trike. Don't laugh. My Uncle Joe rode one around his neighborhood until he died at age 90-something. 2.) My knees aren't as young as they used to be. No kidding. That's why you might want to ride for short distances to start with. (Read more on how to pamper your knees while biking here.) Taking Aleve (or similar medication) before a long bike ride can also help. My daughters shake their heads when I mention this, but would they rather have me sitting on the sidelines? I don't think so. 3.) Sharing the road with crazy drivers scares the heck out of me. The simple answer is rail trails. They offer off-road biking, usually on an easy, groomed surface, and in most cases, some pleasant scenery. That being said, we did enjoy some on-road biking this year. It's all about choosing roads with light traffic or riding during off-peak hours. 4.) Rail trails are boring. I just heard this one this week. I'm sure there are some trails that evoke one long yawn because they're straight, flat and have nothing special to look at. That's where a little advance research can help. 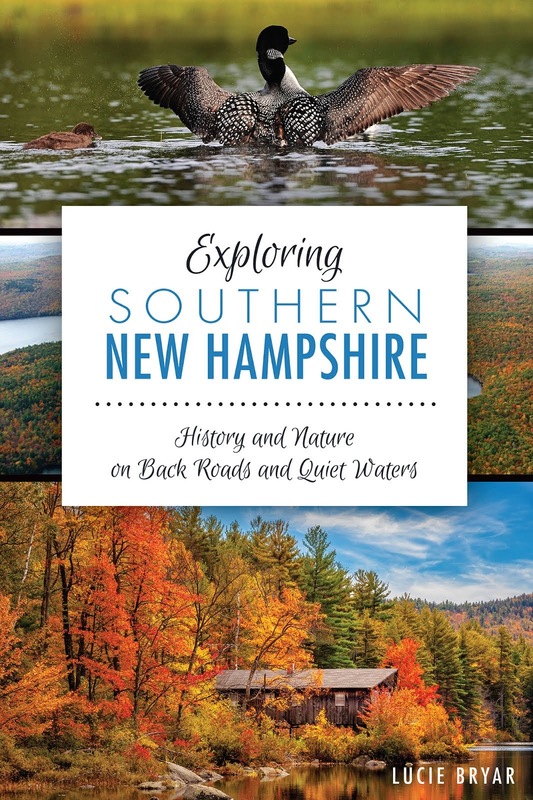 You can start right here on NH Love It or Leaf It by checking out our biking posts. Another good source is pedaling.com. I'll continue to add resources and reviews on rail trails as I find them or ride them. 5.) Today's 24-speed bikes are too complicated. I'm sure the young sales clerk at Goodale's Bike Shop had trouble keeping a straight face when I walked in there a year ago and announced I didn't want to look at anything with more than three speeds. (Little did I know that 10-speeds were already ancient history.) The truth is, when it comes to bicycles today, you can find whatever you want if you search hard enough and venture beyond a "top-of-the line" bike shop. There's a guy in Nashua who retrofits older bikes back to single speed. Figure out what you want and then go for it! P.S. Just for the record, I ended up with a 24-speed; I'm still trying to figure out all the gears, but I like a challenge. Helen Hayes, the "First Lady of American Theater," who died at the age of 92, was asked in an interview if she regretted anything. She said she had only one regret. "I never rode a bike. I wish I had. That's all."